“That oatmeal cake with brown sugar and coconut icing is too die for,” I’d hear when I’d bring it to a church carry-in dinner. I agreed. It was my great-grandmother’s recipe. 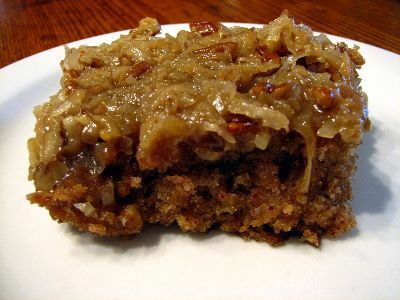 I always swore if I could have a request for a last meal, it would include her oatmeal cake. However, three years ago I started on a journey of eating processed sugar-free and gluten-free. When I think of eating that cake, I literally feel ill knowing what it will do to my body. 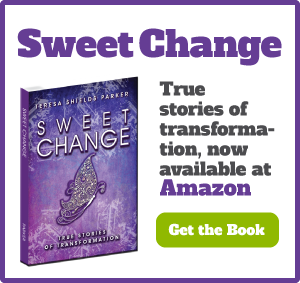 When I began this lifestyle change, I really hadn’t heard anyone talk about sugar addiction or the difficulties of processed wheat flour. Now I hear about it everywhere. Recently an online magazine ran an article quoting a heart surgeon about how items made with sugar and flour cause heart disease. Not too long ago another article talked about how sugar feeds cancer and still another declared sugar is poison. I didn’t know these things when I made the switch. For me it was a surrender to some things God had been whispering in my ear for over 30 years. The first time I actually recorded a prayer about my weight gain was in 1977. At this point I think I had just gone over 200-pound mark and was mortified. I cried out to God about what I should do about this “mountain of flesh.” I wrote down His response which was to stop eating sugar, eat more lean meats, fruits and vegetables and stop eating so much bread. At least five more times through the years when I would get desperate, I would pray the same prayer. God is very consistent. I’d get the same exact answer. A reporter asked me recently why, if I knew it was God speaking to me, I didn’t do what He said. The main reason is I just didn’t want to. I rebelled, plain and simple. Sugar and bread were my main go-to foods. I didn’t know how I could do without them. I craved them constantly. 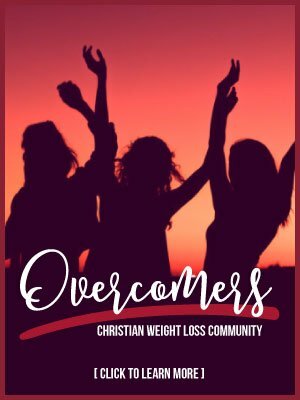 After trying literally everything known to woman (and man) to lose weight, I finally did what God had told me for decades. I admitted my weakness. 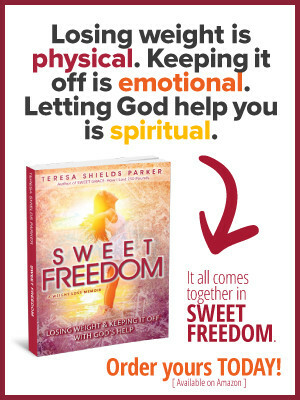 I begged God to give me the power to give up processed sugar and flour. I laid them on the altar and began the journey of walking towards health. It wasn’t easy at first, but I had set my sights on eating this way for the rest of my life for health and wellness. I finally decided I wanted to live more than I wanted to eat what I craved. My allergy doctor had told me that the things we crave we are allergic to. She redefined allergy as something that might affect any body function such as metabolism. She explained if I stopped eating processed sugar and flour, in a couple of months I would no longer crave them. However, if I started eating them again, I would fall prey to the same cravings and it would be harder to stop. That describes my life up to that point. There were times I stopped eating sugar for short periods related to some diet or another. I would always give myself the reward of something with sugar when I’d lost a certain amount of weight and then I could never get back on the bandwagon. I even went to the drastic measure of having gastric bypass surgery, but like so many others when I could I started eating sugar again and began regaining the weight. I went all the way back into morbid obesity. To halt the weight gain and begin losing again, I had to once and for all change my lifestyle. I’m glad I did. At my highest weight I weighed 430 pounds. Now I’ve lost over 260 pounds and feel better than ever. I no longer miss processed sugar and flour because I love the freedom of not being bound to them. Nothing tastes as good as freedom feels. When I tell people the way to lose weight, especially if you eat a lot of sugar and bread, is to stop eating sugar and bread, they will inevitably ask what would I eat? It’s an honest question. Back in the day, I ate nothing but foods made with processed sugar and flour, in other words anything with extremely high carbohydrate content. The answer is eat real food. Eat what God told me to eat: lean meat, vegetables and fruit. Nuts are good. Raw honey is OK if eaten in moderation. Salad is especially good with lettuce, nuts and fruit. There’s plenty to eat, but for those who have an extreme weight issue, it’s probably not what we grew up eating. We have to re-learn how to eat for optimal health. In reality the more important question is, what are you eating that is killing you? He adds that even though there is fructose in fruit, fruit is OK to eat because the fiber in fruit makes people have a sense of fullness and results in less carbohydrate being consumed in the gut. 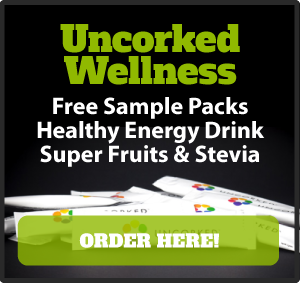 Naturalnews.com reported in December new evidence says that sugar consumption especially sugary drinks fuels the growth of cancer. In addition an article in Cancer Epidemiology, Biomarkers and Prevention reports all sugar causes an increase risk of endometrial cancer in women. In the online publication tunedbody.com, Dr. Dwight Lundell says it’s inflammation in the body that is the main cause of cholesterol clogging arteries and causing heart disease. His advice is eat whole foods and not manufactured foods. 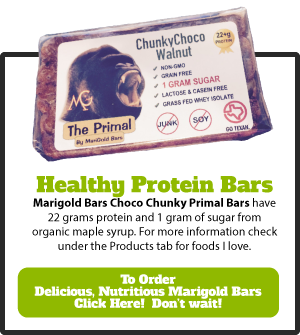 It’s the reason there are so many natural, organic and whole food grocery stores popping up. We have to get away from quick and easy. 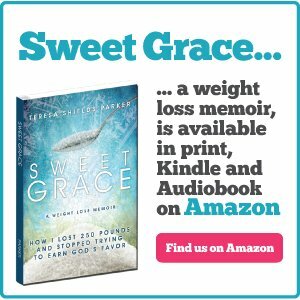 I didn’t know all of this before, but I knew down in the depths of me that I had to stop eating processed sugar and flour for the rest of my life. I knew this was the only way I could live the rest of my life and be healthy. All of this information just makes me more passionate about the message. Medicines may keep us here longer, but we will be unhealthy and miserable if we don’t get our bodies in order and feed them the food God intended us to eat. Is that brownie, hot roll, cinnamon roll, cookie or even Grandma’s oatmeal cake really worth dying for? Great article, Teresa. I’m going to share this with my First Place 4 Health group. Share away! Would love to have any and all of your group join my site. I’m honored to have you here. Great post Teresa. Loved the title too. Thanks, Anne. I greatly dislike trying to think of titles. I can write an entire blog post and take twice as much time figuring out a title! I can do it sir!! !